My daughter had a full bottle feeding, her diaper was changed, yet something was wrong. Oh that's right, she wouldn't stop crying. Crying-Crying-Crying! Her face had turned bright red and I didn't know what to do. Rocking her back and forth didn't seem to help. Singing her favorite lullaby didn't work either. After two and a half hours of the scream cry, I knelt down and prayed for guidance. If there is one thing I have learned in the past eight months, it's that motherhood brings you to your knees. After a calming prayer I decided to let my daughter cry it out, alone. As I shut the door and her little blue eyes followed me. Her gentle tears pierced my heart. My heart sunk deep into my stomach. I had read about the stage where you let your baby cry it out, but I never realized how much it would hurt me too. As I sat in the hallway I frantically started thinking of ways to help my daughter and myself get through this crying stage before her daily naps and bedtime. 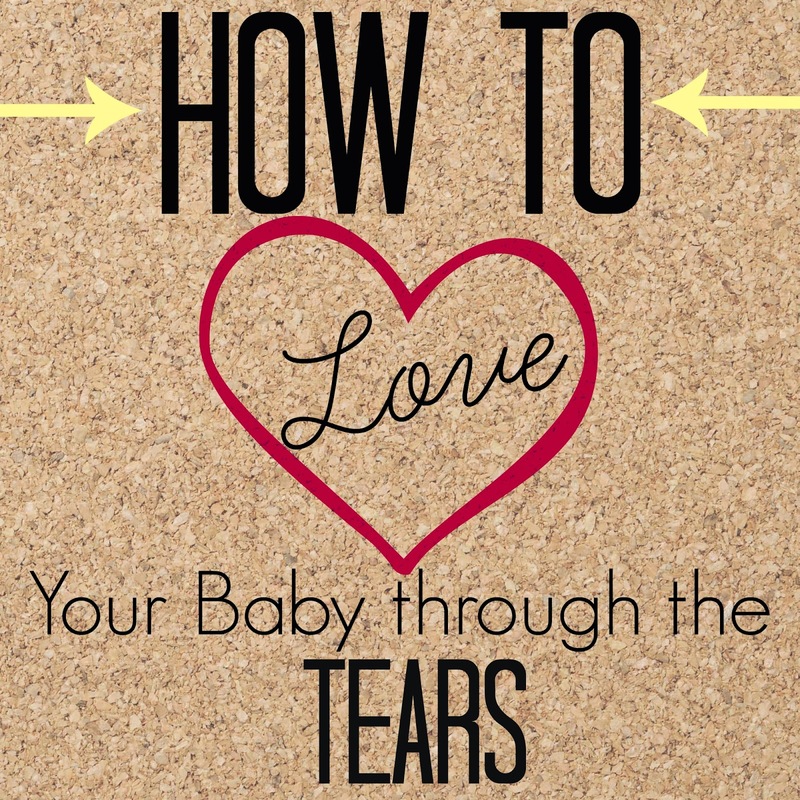 The list below contains the top ways I have found to love my baby through the long crying sessions. 1. Pray, pray and pray again. 2. Close the Door and walk away (easier said than done). 3. Study the scriptures and learn about Christ. His love is perfect and learning about him strengthens us to become more compassionate Mothers. 4. Write your feelings down. 5. Remember it's okay to cry! You are not alone, being a Mom is hard work! 6. Write down ten or more things you love about your baby. 7. Listen to a calming song. 8. Put yourself in your baby's shoes. Why do you think he/she is crying? Scared? Lonely? 9. Call a friend/family member. 10. Join a Motherhood club/support group online or in person. 11. Think about the first moment you saw your baby. How did you feel? 12. Don't be caught up in perfection. Even though your baby may cry... a lot doesn't mean you're a bad Mom! 13. What has your baby done to make you laugh? Do you have a video to cheer you up? 14. Make realistic goals about Motherhood. For example: I will not raise my voice today, even if my children upset or frustrate me. Eventually he/she will fall asleep and the crying will end. Awwe the sweet bliss of a sleeping baby. Isn't she cute. From day one she has never been a swaddling baby. Love that Giselle sleeps so care free. Check out this great post on the #1 Baby Saving Secret! Make sure you are doing this for easy savings. Thanks so much for joining the Say G'Day Saturday linky party. I just pinned your post. Great advice here! I look forward to having kids, but right now I only have the experience of caring for my niece and nephews. I really think that all those times trying to get my toddler nephew to sleep, although hard, really brought us closer together. He was jealous of a brand new baby brother and was suddenly fighting bed time (the new brother is the reason I got to help so much). I remember holding him as he cried and clung to me and me telling him that I loved him, I would see him in the morning, but he really needed to go to sleep. No, this didn't always calm him. It didn't usually calm him. But it sometimes did and even a few years later I think we're especially close because of it, despite me living in another state now. I'm sure those acts of kindness bring us together! Thanks for visiting and sharing your story! As the mommy of an 11 month old who only just started sleeping through the night in the past couple weeks, after 1 full week of long tear filled nights this post made me teary. It absolutely BREAKS your heart as a mommy hearing your baby cry and wanting to give any and everything to wipe their tears away, even (often) at your own expense. It took me those full 10+ months to allow her to cry herself to sleep, and I would definitely say we are both the better for it now, but Lord Almighty, my heart strings about had it while we got through those rough nights. I'm glad you little one finally started sleeping through the night! Hope you enjoy your sleep :) And your right hearing your baby cry him/herself to sleep is a heartbreaker. Best wishes and thanks for reading!